June hasn't been the hottest month in Toronto and so far it's been filled with rain. But Upper Canada Mall has families covered when it comes to fun, FREE activities that take place indoors. 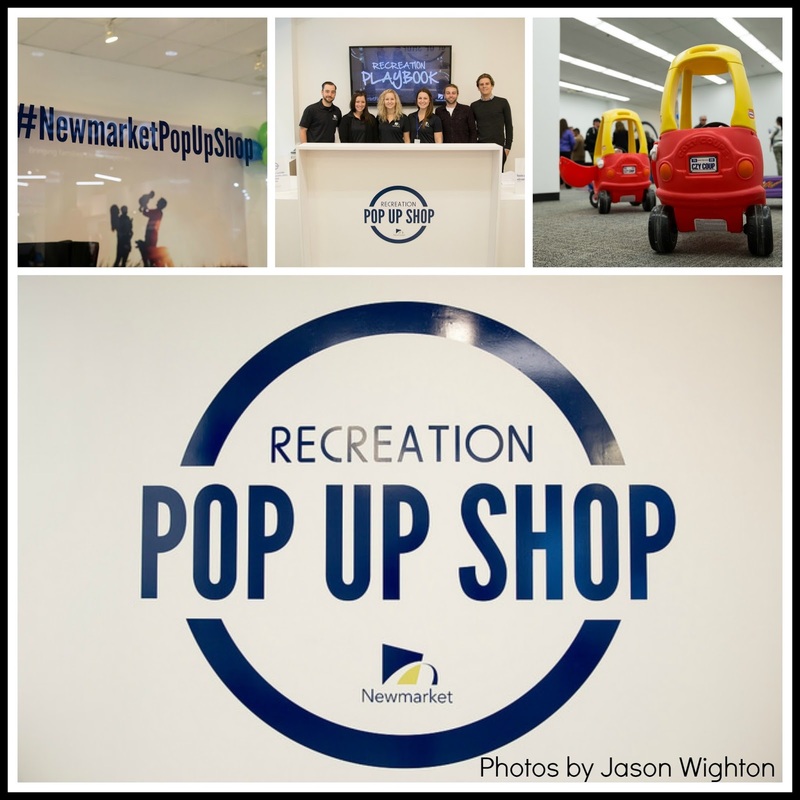 The Town of Newmarket has introduced its first-ever, retail Pop Up Shop at Upper Canada Mall for the month of June - Recreation Month. Families can take advantage of a diverse range of indoor fitness, culture and recreation programs. There’s an activity that everyone will enjoy, and the best part is – it’s all completely FREE! The offerings are fun, inventive and modern. You can view the entire guide here. If you have youngsters at home, you should take advantage of the preschool drop-off classes that allow parents to “drop and shop.” These classes keep little ones looked after and entertained, and give you the rare free time to take in shopping or run errands at Upper Canada Mall. Hannah has been sick, but we hope to visit one of the Adventure themed Tuesday nights soon! 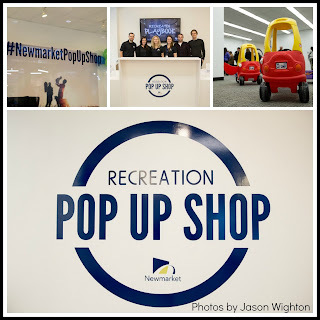 Will you visit the Recreation Pop Up Shop? Isn't there a pop up shop for July and August? Or is it just for June? They've extended it for the month of July now as well - http://newmarket.ca/en/lifestyle/PopUpShop.asp.